It’s been a decade since Americans started sending more text messages per month than phone calls. In that decade, text messaging has changed many aspects of our lives. We text friends when we’re running late to a movie, we judge the success of new romances on the quality and quantity of texts exchanged, and we send family members photos of our newborns over text. But, it’s not just our personal lives that have been altered by this simple but powerful form of communication. Increasingly, businesses rely on the simplicity and convenience of text to help them get in touch with prospects more quickly, schedule meetings, move deals towards a close, and more. And just as “business communication” is more powerful and complex than simply communicating for business, business texting is more than just texting for business. 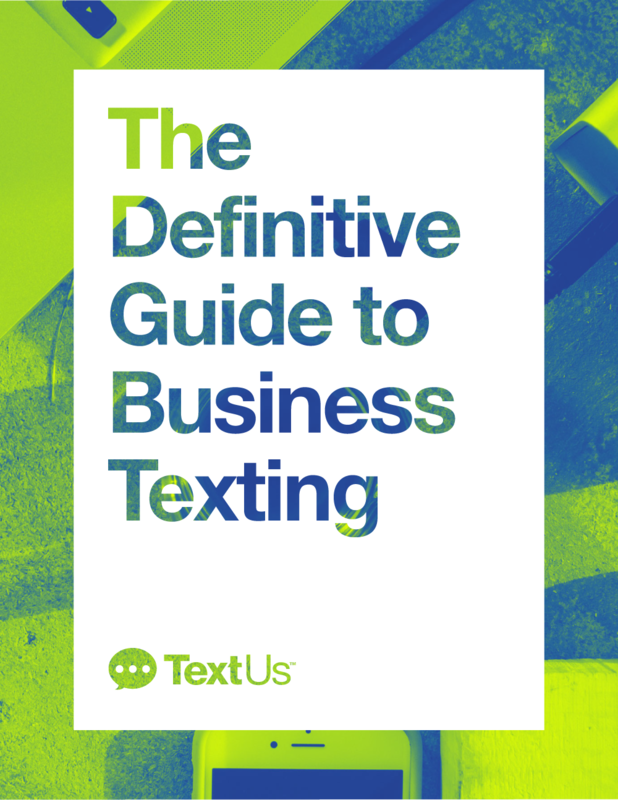 Here’s what we talk about when we talk about business texting. In our increasingly distracted-world, it can sometimes feel impossible to get people’s attention. They scroll past your emails, they delete your voicemails without listening to them, they block your pop-up ads, and ignore your Facebook bots. It’s not that they aren’t interested in what you have to say or wouldn’t be if you could just get a second or two of their time — it’s that consumers have, by necessity in an information-drenched world, become message connoisseurs. You need a mode of communication that most people do not routinely ignore. That’s the beautiful part of texting. Because people receive texts from their friends, romantic interests, family members, and others near and dear to them, they pay attention to every text that crosses their screens. So, business texting is a mode of connection with your professional contacts that actually gets read and responded to. In fact, while voicemail and email both have a lowly 1-3% response rate, text messages maintain an impressive 35%-45% response rate. What do those low response rates tell you about email and voicemail? People are overwhelmed with these forms of communication. In the same way your team doesn’t want a meeting that could’ve been an email, many of your contacts don’t want an email that could’ve been a text. The more streamlined, responsive, and convenient you can make your professional outreach the more effective it is for you and the more respectful it is of your contacts’ time. It’s a win-win. A decade ago when text messaging overtook phone calls, the majority of those messages being sent back and forth were between family and friends. Then, “business texting” largely resembled mass text marketing — those robotic text messages from 5- or 6-digit numbers that offered you an unbelievable discount or once-in-a-lifetime trip or asked you to text in for info on a promo or contest. Business texting today is unrecognizable from those spammy messages of a decade ago. Just as business emails have moved away from bland mass messages, business texting is all about providing valuable, targeted, meaningful information to your contacts. Texting is unobtrusive. A phone call demands that your contacts stop everything for a period of time and pay attention to you. An email often requires the kind of lengthy response that also demands attention and concerted effort — on your timetable. Text, on the other hand, fits handily into your contact’s lives — they can respond to your texts when they are waiting in line for coffee, have a 2-minute pause in a meeting, or are riding the elevator to their office. Business texting also slots nicely into your existing communication strategy. It doesn’t replace any other form of business communication; instead, it works with phone, email, and computer-based messengers to make all your communication more effective. Text can help you schedule a phone call at a time that is most convenient for a contact. It can also provide the kind of quick follow up that makes sure your email communication is more effective, focused on the kind of substantive questions that are best suited for longer forms of communication.